Purify your skin with the Dermalogica Clear Start Kit, a set of three acne-fighting and blackhead-busting products that replenish moisture, sweep away impurities and leave skin feeling comfortable and healthy. Give skin a fresh start with a deeply purifying cleanser that has been specially developed for oily and acne-prone skin. Fortified with active Salicylic Acid, the lightweight formula sweeps away dead skin cells, daily dirt and excess oils, working to unclog pores and clear congestion that often leads to breakouts. Suitable for use all over the body, it leaves skin feeling fresh and balanced with visibly fewer blemishes. 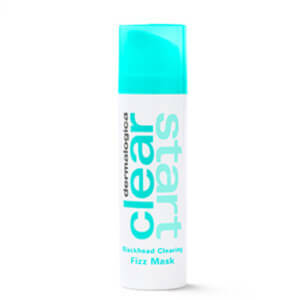 Banish blemishes quickly with an acne treatment that starts working within 15 minutes. Powered by Salicylic Acid to eliminate bacteria and sweep away impurities from deep within pores, the treatment also utilises patented TT Technology and Phytoplankton Extract to replenish vital moisture to dried-out and irritated skin. Meanwhile, Niacinamide helps to strengthen the natural barrier function and balance out discolouration caused by acne scarring. After use, expect a clearer, more comfortable and healthy-looking complexion. The ultra-lightweight and sheer formula is specifically developed for oily and breakout-prone skin types suffering from dry and flaky patches. Rapidly absorbing into skin without feeling greasy, the lotion immediately works to optimise hydration levels and help balance excess sebum production for a more refined and even tone. Enriched with Ginger, Orange and Grapefruit Extracts for a zingy burst, the easy-to-apply moisturiser leaves skin feeling fresh and comfortable. Foaming Wash: Morning and night, lather a small amount in damp hands, then rub over face, neck, chest ... anywhere you want to wipe out dirt and breakouts. Keep out of your eyes. Rinse thoroughly with warm water. Clearing Booster: Apply directly to a blemish or breakout area or apply a thin layer all over the face under your moisturiser for breakout prevention. Use daily morning and night as needed. 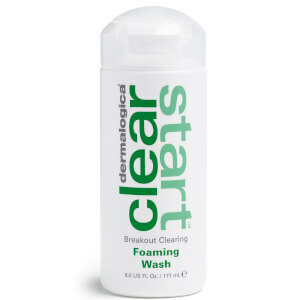 Foaming Wash: Active ingredient: Salicylic Acid .50%. Other ingredients: Water/Aqua/Eau, Cocamidopropyl Betaine, Sodium Lauroyl Methyl Isethionate, Acrylates/Beheneth-25 Methacrylate Copolymer, Polysorbate-20, Melaleuca Alternifolia (Tea Tree) Leaf Oil, Citrus Aurantium Dulcis (Orange) Peel Oil, Lavandula Angustifolia (Lavender) Oil, Oleanolic Acid, Butylene Glycol, Enantia Chlorantha Bark Extract, Disodium Cocoamphodiacetate, Spiraea Ulmaria Extract, Camellia Sinensis Leaf Extract, Porpyra Umbilicalis Extract, Glycyrrhiza Glabra (Licorice) Rhizome/Root Extract, Sodium Hydroxide, Ethylhexylglycerin, Phenoxyethanol. Clearing Booster: Water/Aqua/Eau, PPG-15 Stearyl Ether, Glycerin, Butylene Glycol, Isopropyl Lauroyl Sarcosinate, Niacinamide, Salicylic Acid, Cetearyl Glucoside, Polysorbate 20, Chlorella Vulgaris Extract, Thymol, Terpineol, Citrus Aurantium Dulcis (Orange) Peel Oil, Chondrus Crispus Extract, Lactic Acid, Sodium Hyaluronate, Tocopherol, Dimethicone, Cetearyl Glucoside, Lecithin, Pullulan, Sclerotium Gum, Xanthan Gum, Propanediol, Gluconolactone, Silica, Ethylhexylglycerin, Tetrasodium Glutamate Diacetate, Sodium Citrate, Sodium Benzoate, Sodium Hydroxide, Phenoxyethanol. Hydrating Lotion: Water/Aqua/Eau, Squalane, C14-22 Alcohols, Butylene Glycol, Naringenin, Saccharide Isomerate, Sodium Hyaluronate, Panthenyl Triacetate, Salicylic Acid, Zingiber Officinale (Ginger) Root Oil, Citrus Aurantium Dulcis (Orange) Peel Oil, Citrus Grandis (Grapefruit) Peel Oil, Triethyl Citrate, Maltodextrin, Glyceryl Caprylate, C12-20 Alkyl Glucoside, Acrylates/C10-30 Alkyl Acrylate Crosspolymer, Aminomethyl Propanol, Xanthan Gum, Benzoic Acid, Sodium Citrate, Citric Acid, Caprylhydroxamic Acid, Ethylhexylglycerin, Methylpropanediol.